Here's a new crop of books that have come in recently from publishers, and a couple that I've ordered for myself. Things have slowed down with the publishers since I took a hiatus with my illness, but now that I'm back reviewing...are picking up again. I'm delighted to be back and able to read again. There's a mixed bag here as you'll see. A new book ( #2 ) in the Flavia Albia series! Thanks to St. Martin's Press. "There are rules for private informers accepting a new case. Never take on clients who cannot pay you. Never do favours for friends. Don’t work with relatives. If, like me, you are a woman, keep clear of men you find attractive. In Ancient Rome, the number of slaves was far greater than that of free citizens. As a result, often the people Romans feared most were the “enemies at home,” the slaves under their own roofs. Because of this, Roman law decreed that if the head of a household was murdered at home, and the culprit wasn’t quickly discovered, his slaves—all of them, guilty or not—were presumed responsible and were put to death. Without exception. When a couple is found dead in their own bedroom and their house burglarized, some of their household slaves know what is about to happen to them. They flee to the Temple of Ceres, which by tradition is respected as a haven for refugees. This is where Flavia Albia comes in. The authorities, under pressure from all sides, need a solution. 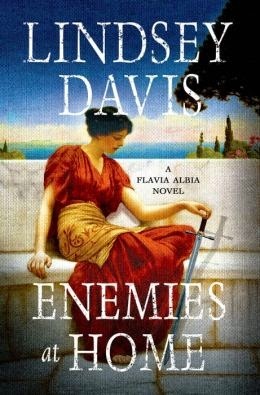 Albia, a private informer just like her father, Marcus Didius Falco, is asked to solve the murders, in this mystery from Lindsey Davis. 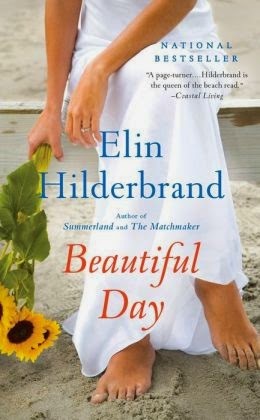 Another Elin Hilderbrand...I love her stories, as I've said. This is one I just bought at Target on a whim. Don't you love the cover? It's published by Little, Brown & Co. There is always some part of the world where human rights are trampled and oppression quashes the human spirit. In the 1980s, it was the Soviet Union. 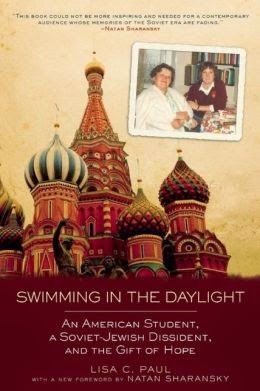 In Swimming in the Daylight, Lisa Paul, a Catholic-American student living in Moscow in the early ’80s, details how she grew to understand the perverse reality of the pre-Gorbachev Soviet regime as her friendship with her Russian-language tutor, Inna Kitrosskaya Meiman, blossomed. Inna, a Soviet-Jewish dissident and refusenik, was repeatedly denied a visa to receive life-saving cancer treatment abroad. The refusal was an apparent punishment imposed on both her and her Jewish husband, Naum, for his participation in the Moscow Helsinki Watch Group—the lone group fighting for human rights in the U.S.S.R.
Before Lisa returned to the United States, she promised Inna she would do all she could to get her out of Moscow. But Lisa was one person, what could she possibly do that would make a difference? Inspired by her faith and rights as an American, Lisa staged a hunger strike, held press conferences, and galvanized American politicians to demand Inna’s immediate release. In this heartfelt, compassionate, and inspiring narrative, Lisa brings the reader along with her as she learns indelible lessons from her heroic teacher. Inna’s greatest lesson—that it is possible to swim through treacherous waters, in daylight, not in despair—is as relevant today as it was during the final years of the Soviet regime. At a time when international strife seems insurmountable and worries at home seem to paralyze, this story will teach people everywhere that it is the courage inside, not the chaos outside, that defines us. 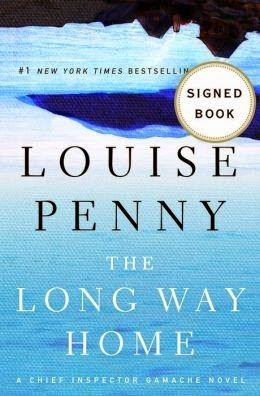 Louise Penny is a new author for me. I've listened to one of her books on tape and enjoyed it, and look forward to an actual read. I know she has a tremendous group of followers. This was sent very nicely by St. Martin's Press. While Gamache doesn’t talk about his wounds and his balm, Clara tells him about hers. Peter, her artist husband, has failed to come home. Failed to show up as promised on the first anniversary of their separation. She wants Gamache’s help to find him. Having finally found sanctuary, Gamache feels a near revulsion at the thought of leaving Three Pines. “There’s power enough in Heaven,” he finishes the quote as he contemplates the quiet village, “to cure a sin-sick soul.” And then he gets up. And joins her. 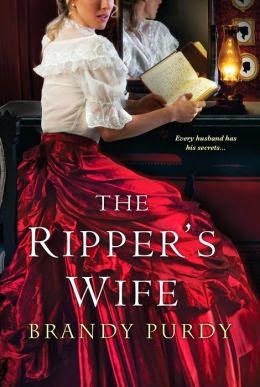 Very kindly sent to me by Kensington Press, this is of course a historical fiction about Jack the Ripper and his wife. Brandy Purdy is known for her fiction having to do with kings and queens of England. I look forward to reading this new approach of hers! A techno thriller sent kindly by Tom Doherty Associates, as well. This one sounds like it could be a modern-day happening! It's a follow up to another book, but, hopefully easy to catch up on. 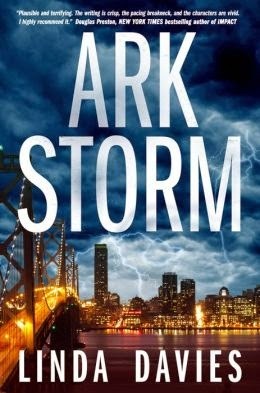 A trip to an island off the New England coast—and away from the demands of police work—might be just what is needed to jumpstart Detective Doyle Carrick and Nola Watkins’ stalled relationship. But a mysterious plague is killing the island’s bees. Nola takes a job at an organic farm hit hard by the disease, working for the rich, handsome, and annoying Teddy, with whom she quickly becomes a little too friendly for Doyle’s liking. When Teddy’s estranged father offers Doyle a big payday to keep his son out of trouble until he can close a big government contract—and when Doyle meets Annalisa, a beautiful researcher studying the bees—Doyle decides to stick around. Stoma Corporation, a giant biotech company, moves in with genetically modified super bees that supposedly are the answer to the world’s bee crisis. As tension grows between protestors and a private army of thugs, Doyle realizes that bees aren’t the only thing being modified. Annalisa’s coworkers start to go missing, and she and Doyle uncover a dark, deadly, and terrifying secret. Things spin violently out of control on the tiny island, and when Doyle closes in on what Stoma Corporation is really up to, he must race to stop them before their plot succeeds, and spreads to the mainland and the world. 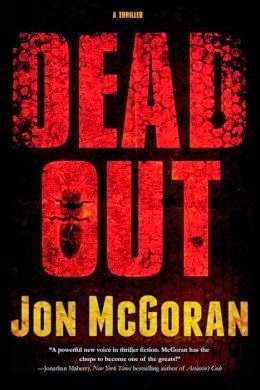 Deadout is thrilling follow-up to McGoran’s highly acclaimed novel, Drift. A mystery and crime novel also generously sent by Tom Doherty Associates. This one is a Sonya Iverson series book. Has been compared to Barbara Taylor Bradford in its storyline. Elsa Klensch, host of the groundbreaking CNN news magazine, Style with Elsa Klensch, is the author of the New York Times bestseller, Style with Elsa Klensch. 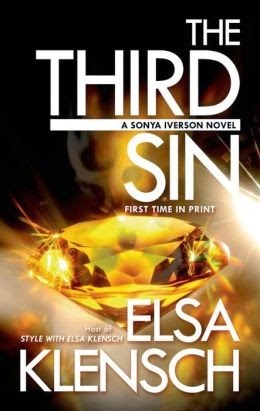 When she retired from television, Elsa took with her many secrets, stories she'd never been able to tell...until now in The Third Sin. Television producer Sonya Iverson has a habit of stumbling over dead bodies. Wade Bruckheimer decides to sell a fabulous diamond that once belonged to his late mother. He needs money, and selling the Braganza seems the best way of getting it. His stepmother, Irina, is furious—that diamond is her ticket to every A-list party in New York. A few days before the sale, Wade is found dead in his luxurious apartment. Sonya was already working on a story about the diamond and immediately begins to cover the murder, to the dismay of her boyfriend, who fears that Sonya is putting herself in danger. Irina Bruckheimer is the first, but not the last, suspect. Esperanza’s family want the Braganza back. There are long-standing rumors that Wade’s high-maintenance wife is having an affair. Only Sonya, with her outsider’s viewpoint, can sort through Wade Bruckheimer’s life and find his killer. Beautiful cover...this one is an ancient Ireland mystery which is Peter Tremayne's forte'. I love this time period and a good mystery. This one should be a fun read. Many thanks to St. Martin's Press for thinking of me with this one. Winter, 670 AD. King Colgú has invited the leading nobles and chieftains of his kingdom to a feast day. Fidelma and her companion Eadulf are finally home for an extended stay, and have promised their son, Alchú, that they’ll be able to spend some time together after months of being on the road, investigating crimes. Fidelma and Eadulf are enjoying the feast when it is interrupted by the entrance of a religieux, who claims he has an important message for the King. He approaches the throne and shouts ‘Remember Liamuin!’ and then stabs King Colgú. The assassin is slain, but does enough damage to take out Colgú’s bodyguard, and to put the king himself on the verge of death. As King Colgú lies in recovery, Fidelma, Eadulf, and bodyguard Gormán are tasked with discovering who is behind the assassination attempt, and who Liamuin is. They must journey into the territory of their arch-enemies, the Uí Fidgente, to uncover the secrets in the Abbey of Mungairit, and then venture into the threatening mountain territory ruled by a godless tyrant. Danger and violence are their constant companions until the final devastating revelation. 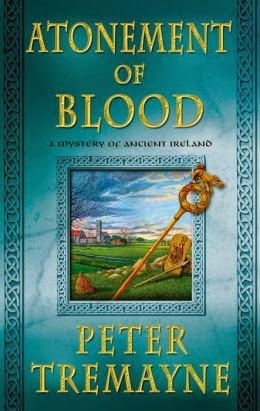 Atonement of Blood is a mystery of Ancient Ireland from Peter Tremayne. I'm reading "Outlander," "Me Before You," and "A Game of Thrones" presently. 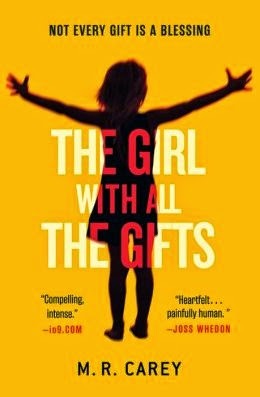 Also have started "The Girl with all the Gifts," which I've said is excellent! Luckily came to your place. Hope to connect with all EBooks Authors helping each others. cara mengobati batu ginjal thanks may be useful for all.